Zoho Desk brings to you Layouts: a collection of customizable fields for each of your departments. Good customer service comes with having the right information to solve the problem, but every department needs a different set of data from the customer. With Layouts, you can customize your web forms to have fields that matter for each department. 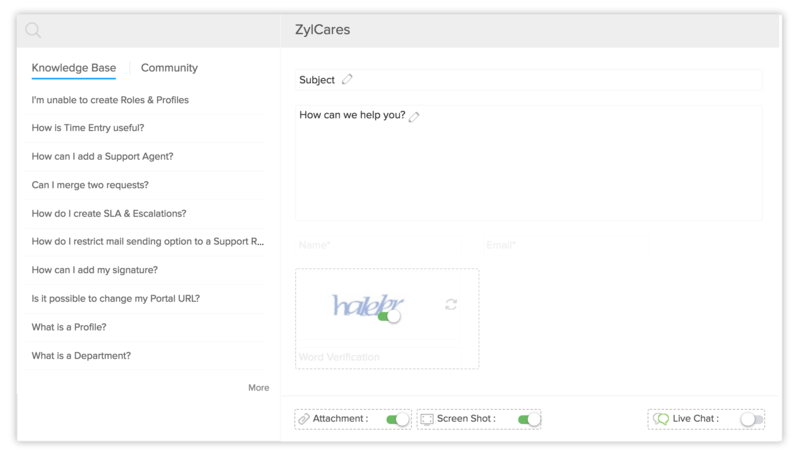 Streamline the customer support process. While custom fields help you create fields that suit your business, Layouts help you tweak the values without creating multiple fields for each department. For instance, while 'Feature Request' as a ticket status makes sense for Technical Support, it won't be useful for the Returns Department. Customize forms to arrange the fields in the order that makes sense. Move fields around to give your agents enough context to truly understand the problem. For every department, you can pick separate layouts for each module. 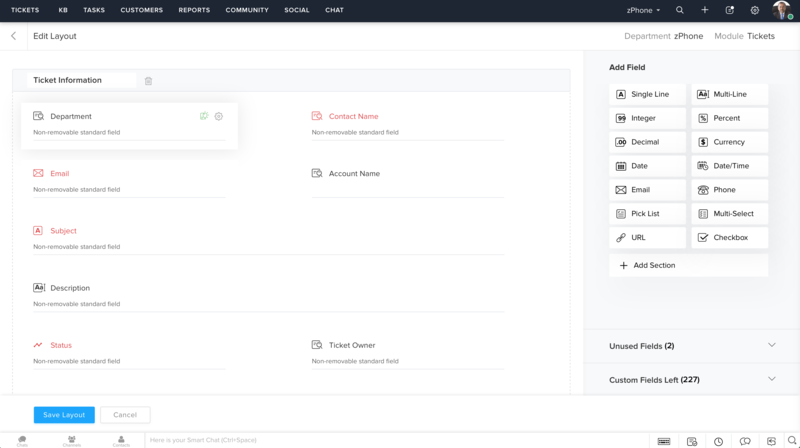 When customers fill out web forms to raise tickets, it's important that you ask them only for the information you absolutely need—this reduces the clutter of data your agents have to sift through. Using Layouts, you can show a separate set of fields for each department, and ensure that every department sees only the relevant fields.